Sympathetic magistrates took pity on a homeless offender who failed to comply with his supervision requirements after release from prison and they spared him from being put back behind bars. 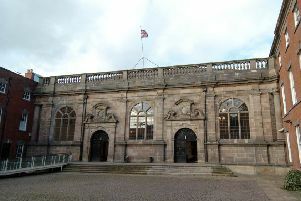 Chesterfield magistrates’ court heard on September 6 how Lee Woodger, 27 of no fixed abode, admitted failing to attend probation service appointments in August after he was released from prison. Defence solicitor Ben Strelley argued that when offenders are sent into custody their benefit arrangements are sanctioned and they are released without any money and they struggle to set up new benefit, bank and accommodation arrangements. He added that Woodger also suffered a setback when he was released from prison because he discovered his partner had been having an affair. Magistrates decided not to send Woodger back to custody for 14 days and instead decided to fine him £20.